I got this sample awhile ago and I am just getting around to swatching it for you. This is a highlighting product that I enjoy when I use it, but then it gets lost in my bag and I start using something else. Then it resurfaces and I kick myself for forgetting about it. 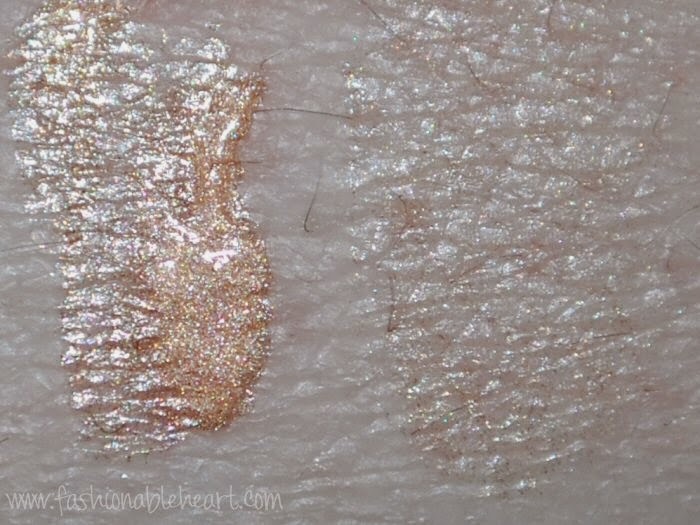 Keep reading for the swatches and my review, if you like glowy skin! 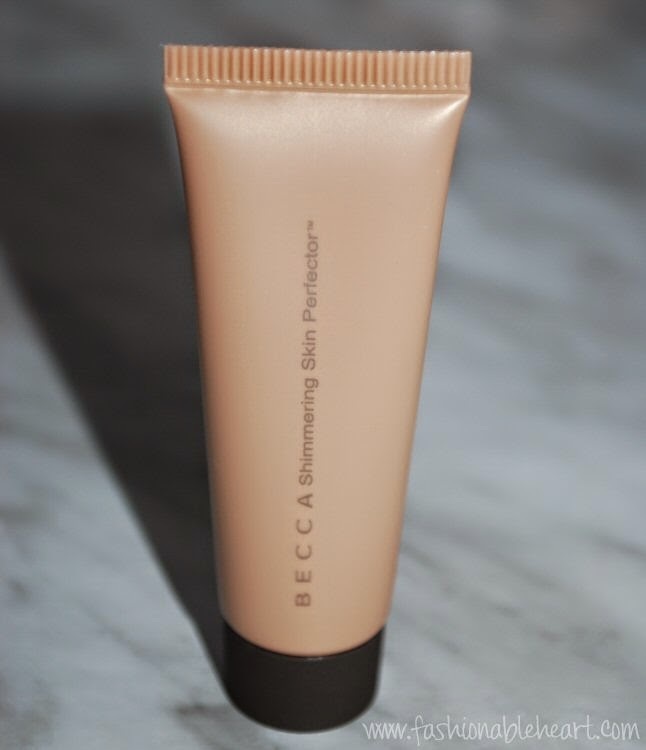 The Becca Shimmering Skin Perfector comes in five full-size shades and two in a travel-size. It's on the pricey side, with even the small tube being $23CA. There is SPF 25 in the product as an added benefit! I'd say this works best mixed in with your foundation and a little goes a long way. You can apply it on top of foundation, but I find it very hard to get the right amount and not be too sparkly at times. Or maybe you like that kind of thing? If so, go forth with your sparkles and prosper! The full-sized version of this has a pump, which may or may not be something you like. For me, I rather like the smaller tubes with the little squeeze opening. I'm wasting less product and getting more bang for my bucks (if I had paid for it, that is - yay free samples!). As for liquid highlighters, this is definitely ranked high along with Benefit's High Beam for me. Left: heavily swatched. Right: lightly blended. I actually use the Opal as a foundation primer (like you said, a teeeny bit). And it's not disco-ball. Maybe because I'm rather olive, but it really smooths my skin out and gives a luminous glow.